The Critical Injury Pack is designed to provide immediate, life-saving first aid to someone who has sustained a severe bleeding injury in the workplace. UK Ambulance Services are targeted on reaching a patient within 8 minutes, however, when dealing with catastrophic bleeding every second counts and can mean the difference between life and death. There is nothing in the standard Small/Medium/Large First Aid Kits that be used to stem a catastrophic bleed. Recent Health & Safety Executive guidance now recommends employers provide Haemostatic Dressings and Tourniquets in their first aid provisions for employees working with an identified risk of obtaining severe bleeding injuries. The Critical Injury Pack is designed to be issued one per person (obviously only to employees exposed to the risk). The injured person then has their pack used on them, rather than a first aider using their pack on someone else. The HSE recommends that employers arrange training for staff if tourniquets and/or haemostatic dressings are provided in the workplace. The Critical Injury Pack is also intended for Drop/Throw distribution in the event of a mass casualty incident; such as a terrorist attack. Police can’t allow Paramedics into the hot zone of any mass casualty incident until it has been declared safe. This can take a long time, especially if there a lot of areas to clear and this may be too long for the immediate treatment that is required for the types of severe bleeding injuries which are incurred in these types of situations. 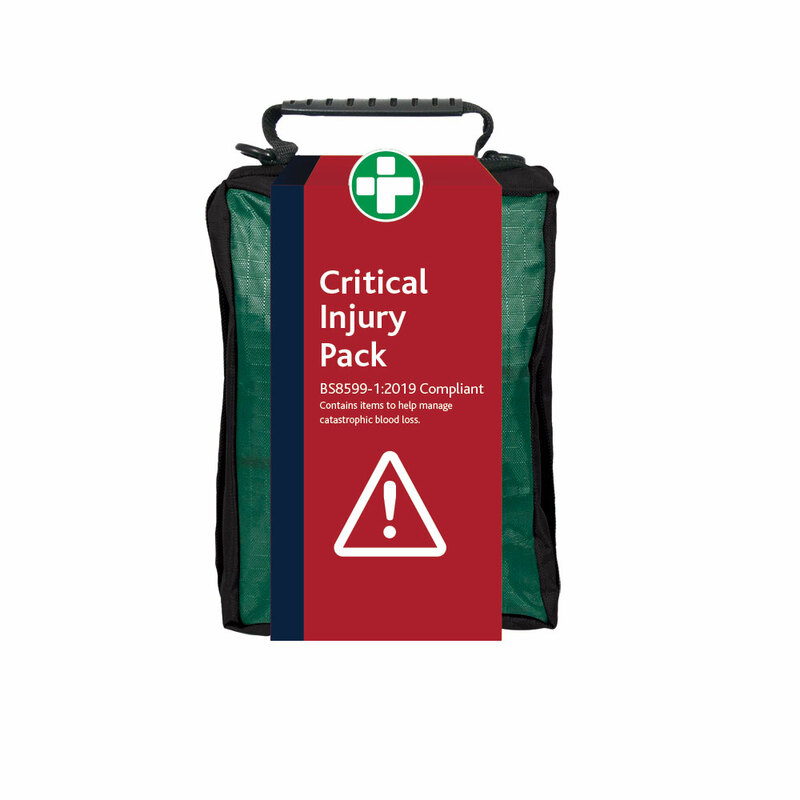 The Critical Injury Pack can be stored in bulk to allow bystanders and patients already in the restricted areas to treat wounds.